Yesterday, Piers Morgan, 53, shared a selfie from hospital ensuring fans he “wasn’t dying” but failed to elaborate on his mystery visit. Today, he responded to Twitter users who asked him what was wrong with him. One user asked him: “Yeah? So what’s up with you?” Piers replied: “If you really want to know, I was diagnosed with stomach gastritis and duodenitis. He also wrote: “Monday, 6.40am: I eat one mouthful of vegan sausage roll. 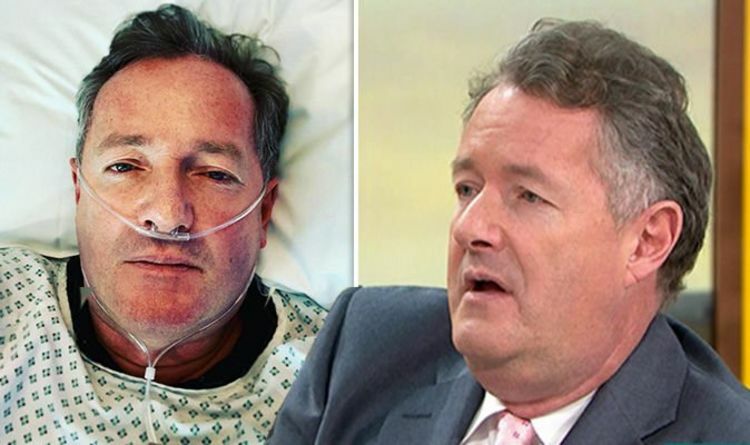 Piers went on to hit out at rugby star Will Carling who accused him of having “a cold”. In view of his 163,000 followers, Will commented: “Did make me smile that the Hero @piersmorgan who is always telling people to ‘man up’ and that ‘second is first loser’ – because he is a real winner. “Took himself to a hospital, and after extensive tests, they found he had……….a cold!!! [crying with laughter emojis]. Piers replied: “I am, yes. The presenter also confirmed he will be back on Good Morning Britain on Monday. Yesterday, Piers shared a selfie from his bed at Bupa Cromwell Hospital. In view of his 361,000 followers, he wrote: “Bad news: I’m not dying.